SOUTHBRIDGE/STURBRIDGE/CHARLTON – The United Way Day of Caring was celebrated throughout the world Friday, Sept. 14, 2018. 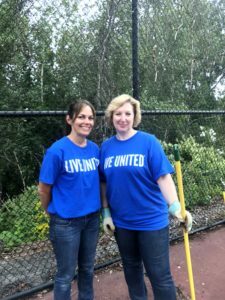 Locally, the United Way of Southbridge, Sturbridge and Charlton sponsored volunteer projects. 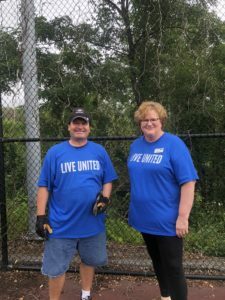 Employees from local companies volunteered to do projects to help area nonprofits and charities. 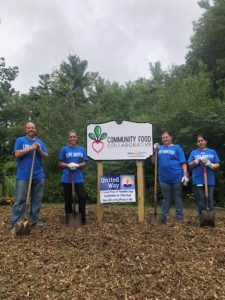 Unfortunately, one scheduled project had to be canceled. A representative from the American Red Cross was scheduled to work with a community volunteer to install smoke detectors in private homes. The American Red Cross had to pull that volunteer to help respond to the gas fires and explosions in the Lawrence, MA area instead. 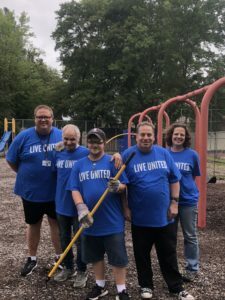 Volunteers from The Center of Hope lay mulch and weed the playground at Morris Street Field. L-R: Ken LaHue, Byrant Chaffee, Matt Lasorsa, Ben Peristere and Kerri Fairbrother. 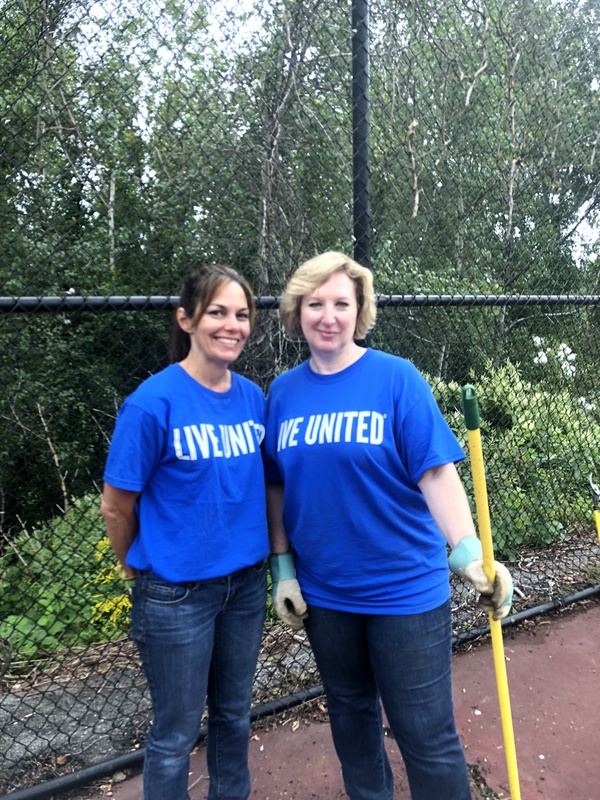 L-R: Maria Salvatore and Donna Tibbitts of Cornerstone Bank help clean up the playground and tennis courts at West Street Field. 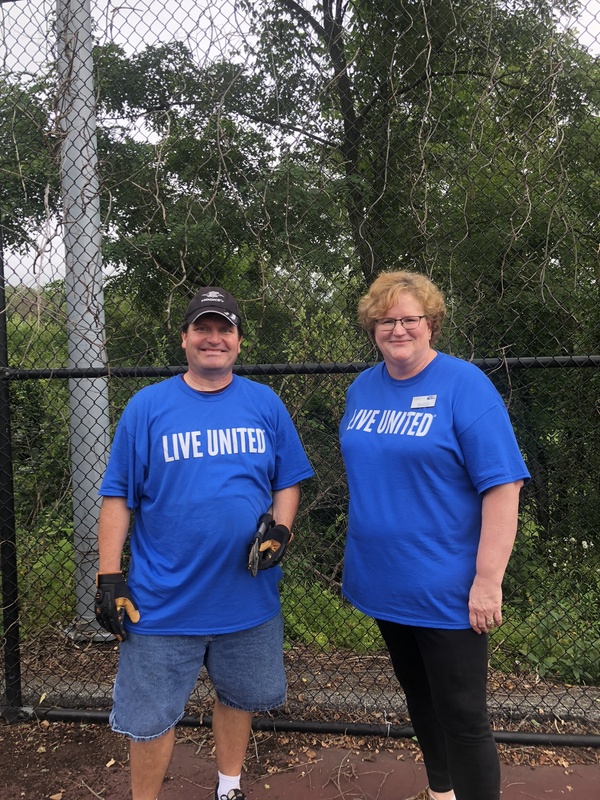 L-R: Mary O’Coin and Scott Dungey of the United Way of Southbridge, Sturbridge and Charlton help out at West Street tennis courts.